Are you intrigued about the manner in which things work and love taking care of issues? 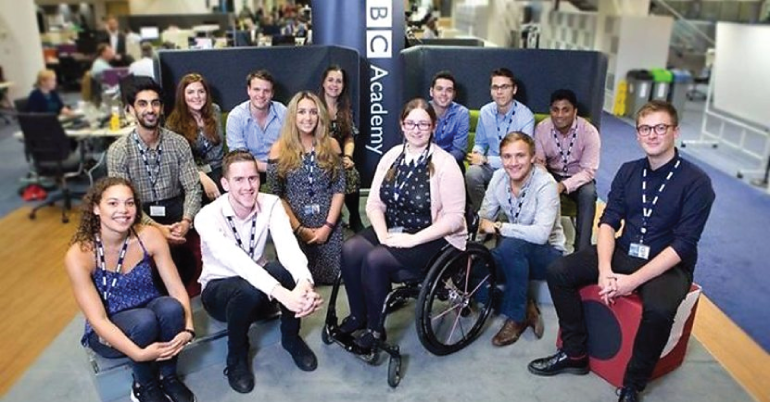 If yes, then BBC Broadcast Engineering Apprenticeship 2019 is for you! You’ll get to work at the heart of technology at the BBC and with the industry partners, all while studying for a degree in Broadcast Engineering. You’ll have a main BBC base, but you will spend periods away on study. Through a series of university taught modules and industrial experience they will prepare you as the new generation of Broadcast Engineers to help build and support the future business. You’ll develop an excellent theoretical and practical understanding of operational and technical systems, as well as equipment and their use in the fast-moving broadcasting industry. The British Broadcasting Corporation (BBC) is a British public service broadcaster. Its headquarters are at Broadcasting House in Westminster, London and it is the world’s oldest national broadcasting organisation and the largest broadcaster in the world by number of employees. It employs over 20,950 staff in total, 16,672 of whom are in public sector broadcasting. The total number of staff is 35,402 when part-time, flexible, and fixed-contract staff are included. The BBC is established under a Royal Charter and operates under its Agreement with the Secretary of State for Culture, Media and Sport. Its work is funded principally by an annual television licence fee which is charged to all British households, companies, and organisations using any type of equipment to receive or record live television broadcasts and iPlayer catch-up. The fee is set by the British Government, agreed by Parliament, and used to fund the BBC’s radio, TV, and online services covering the nations and regions of the UK. Since 1 April 2014, it has also funded the BBC World Service (launched in 1932 as the BBC Empire Service), which broadcasts in 28 languages and provides comprehensive TV, radio, and online services in Arabic and Persian. Around a quarter of BBC revenues come from its commercial arm BBC Studios Ltd (formerly BBC Worldwide), which sells BBC programs and services internationally and also distributes the BBC’s international 24-hour English-language news services BBC World News, and from BBC.com, provided by BBC Global News Ltd. Valuable experience working on exciting projects at one of the world’s most creative and innovative media organisations. Love solving problems and seeing how things work. Like having a go at fixing things, or designing and building things yourself.